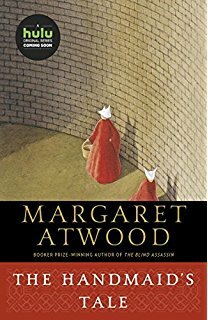 Margaret Atwood is Writing a Sequel to The Handmaid's Tale! And you can bet your life, we'll be seeing it on screen! But note ... don't expect the author's novel to pick up where the tv show left off. It's an entirely different animal, set as the author says, 15 years after Offred's final scene in her novel The Handmaid's Tale. Which is not a large book, by the way, so if you haven't read it, you really should prior to next year's book release. Here's the author's announcement on Twitter. I am writing a sequel to The Handmaid’s Tale for publication on 10 September 2019. The Testaments is set 15 years after Offred’s final scene in The Handmaid’s Tale and is narrated by three female characters. Everything you’ve ever asked me about Gilead and its inner workings is the inspiration for this book. Well, almost everything! The other inspiration is the world we’ve been living in. Also… The Testaments is not connected to the television adaptation of The Handmaid’s Tale.